The Parco Delle Piscine campsite, a superb 4 star establishment located in Tuscany, welcomes you for a holiday at the Italian pace of life. 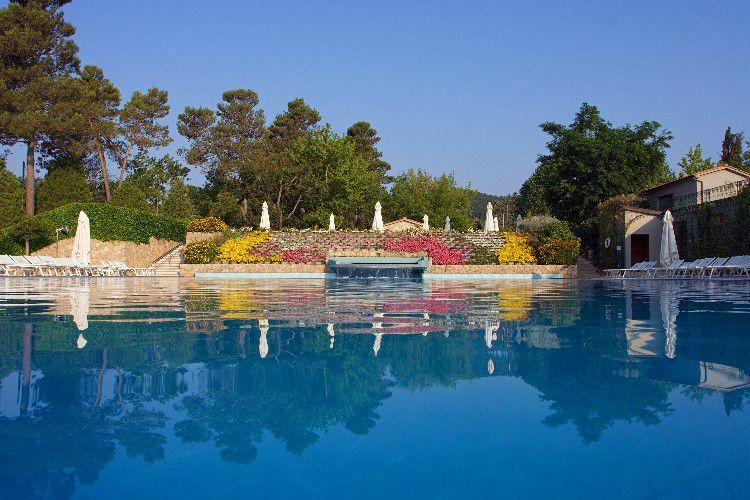 Located within walking distance of the historic centre of Sarteano, the campsite possesses three beautiful pools. The site has high quality facilities for both young and old. Be it sport or relaxation, everything is accessible both at the campsite and also in its vicinity. Walking and bicycle tours are organised within a 50 km radius around the campsite. Chiusi Chianciano train station (13 km). Follow the A1 motorway and take the Chiusi - Chianciano Terme exit. Right at the heart of Tuscany, the Parco Delle Piscine campsite is ideally located to discover a unique region, be it from a natural, historic or human point of view. Your mobile-home rental will allow you to discover Florence where the Ponte Vecchio has preserved its shops on the Arno river. 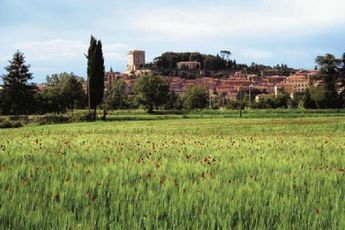 You will also be able to visit San Gimignano, Pisa et Sienna. 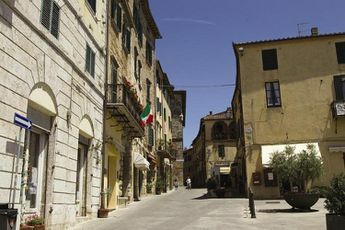 Nature will also be there to greet you in your holiday when you climb the lush hills of Tuscany and stop off to taste the famous Tuscan wines.